Below is a list of homes for sale, if you would like to refine your search within 85257 you can easily do so here. New remodel! 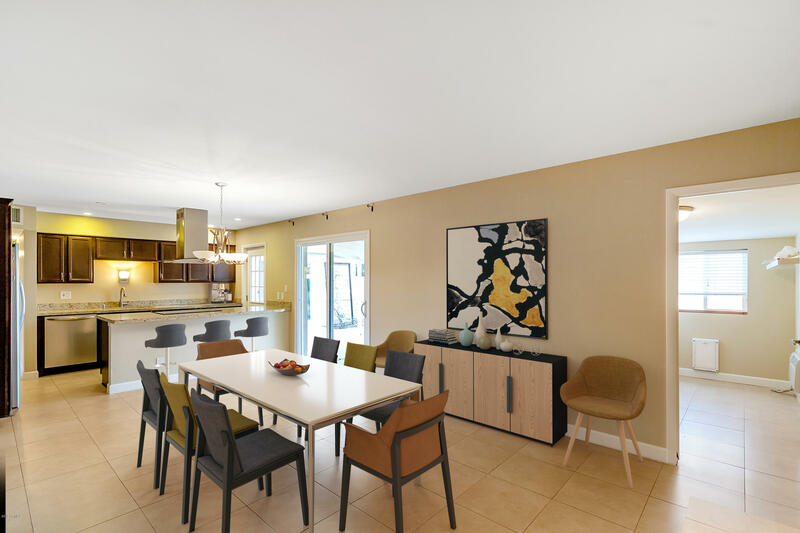 Beautiful open concept design with large kitchen island with cabinet storage on both sides, new appliances with gas range that convey, and an abundance of storage. This home sits on a large lot at the end of a cul-de-sac. 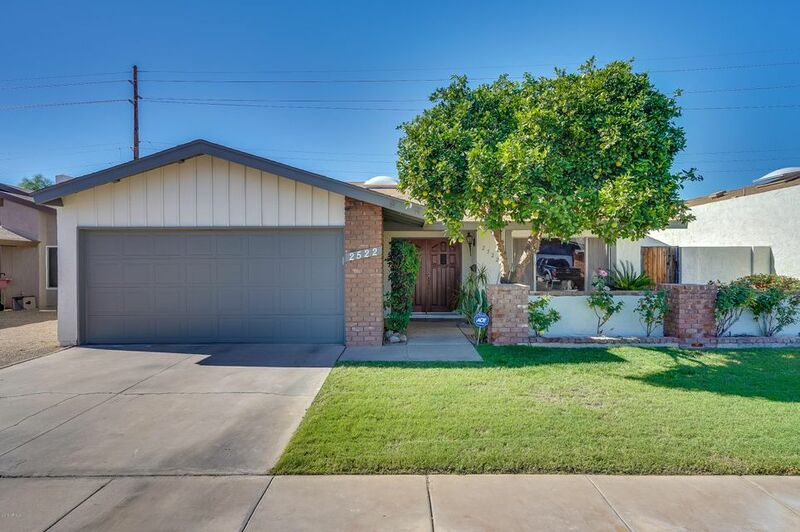 Mature fruit trees, large shade trees, two car detached garage, covered carport, large aluminum storage shed with concrete floor, no HOA...all near downtown Scottsdale! 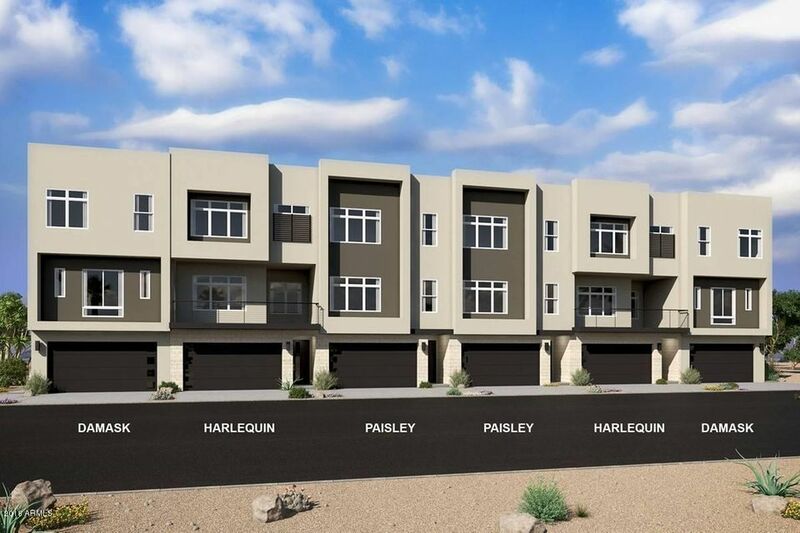 Beautiful new luxury contemporary townhome in fast growing south Scottsdale. 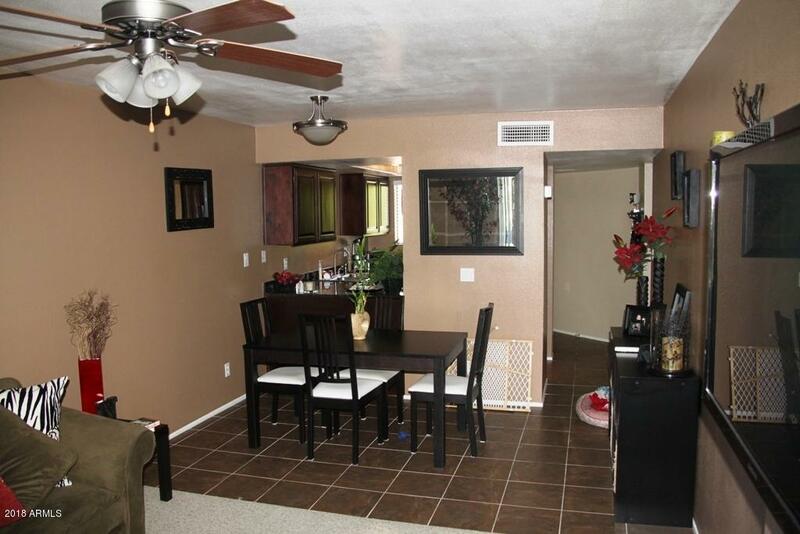 Close to Papago Park, Skysong, Old Town Scottsdale and Tempe Town Lake area. This luxury home includes a roof top deck over the 3rd level with great views of Camelback Mtn, and Papago Buttes. 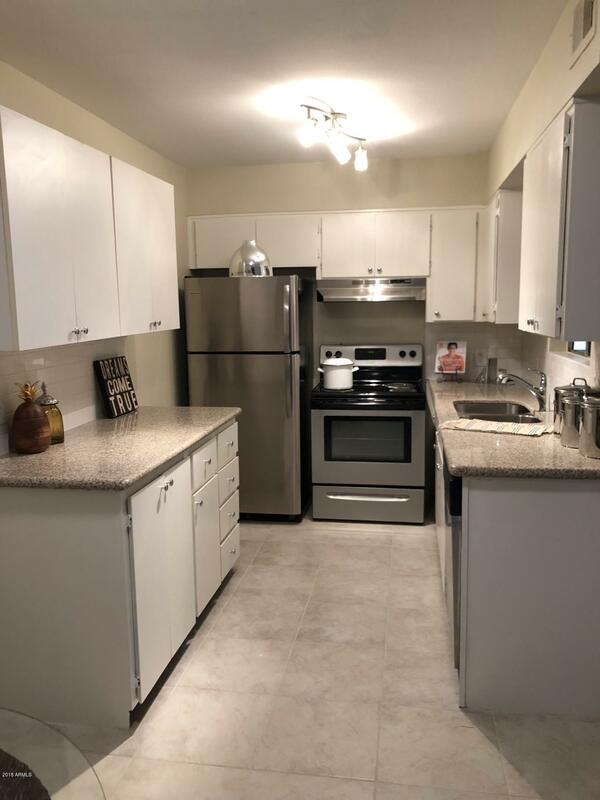 Featuring 3 bedrooms and a den, the beautiful upgrades include granite tops, upgraded tile, carpet, GE stainless steel appliances including fridge, washer and dryer. Too many upgrades to list. Must see!!! Our gated community features a heated pool, Spa, fitness center and outdoor kitchen area with BBQ's. Close to Old Town Scottsdale - No HOA - Open Floor Plan - Ceiling Fans in each Room - Open Kitchen - Granite Counters - Stainless Steel Appliances - Fireplace - Indoor Laundry - Dual Pan Low E Windows - New Paint - Like New Carpet - Covered Patio - Near Papago Park and walking trails - 1 Year Home Warranty with Select Home Warranty Included with Purchase. 1 Car Garage, 2bd/2ba condo with upscale renovations in sought after So. Scottsdale location. This community is tucked away from busy streets but close to shopping, dining, golfing and nightlife. 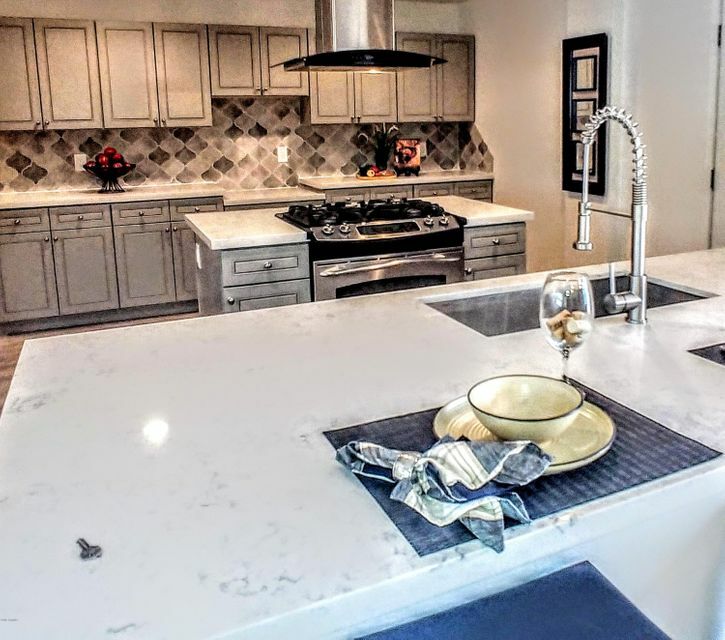 Brushed nickle hardware, lighting, granite slab counter tops, raised panel cabinetry, Refrigerator, stove, microwave, dishwasher ,full size washer/dryer, Tile in all the right places. The patio overlooks a lush tree shaded grass area, not other buildings and it faces north. 2 pools w/heated spa, dog park. 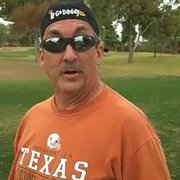 Close to loops 101/202, ASU, ASU SkySong, Old Town, Tempe Marketplace, Mesa Riverview, Fashion Square and More. This beautiful ground floor condo is ready for someone to move in now! 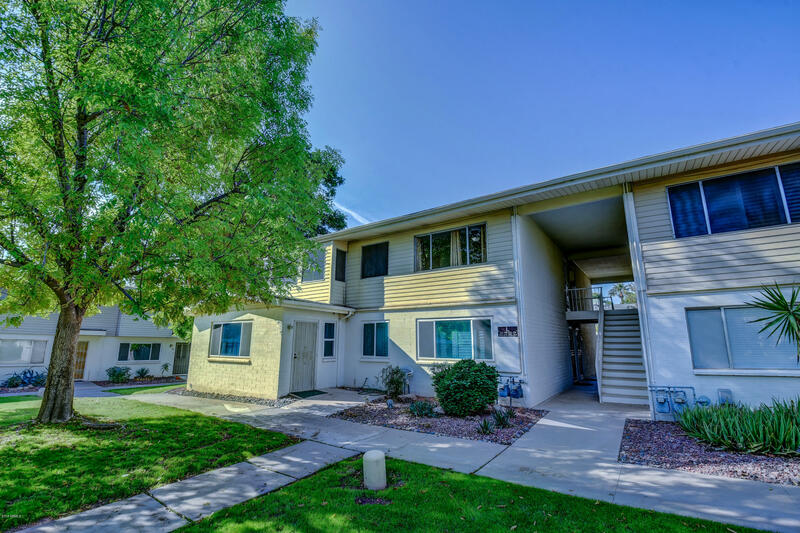 Perfect investment property, as this would be a great rental.New paint,ceramic tiles throughout,beautiful Granite countertops in both the kitchen and bathroom,stainless steel appliances, and a private patio. This is a single level , so there is no one above this condo. 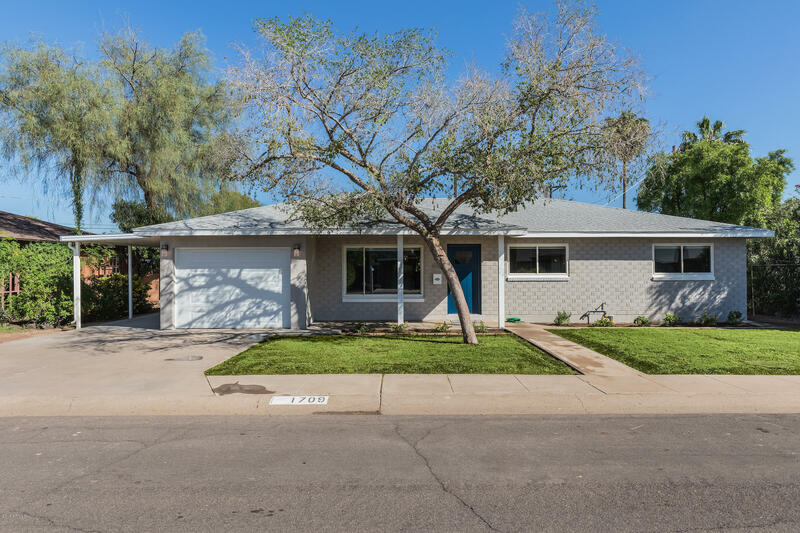 Close to ASU, freeways,shopping and all that Scottsdale has to offer. Stop the car!! This home has everything, GAS STOVE, master WALKIN CLOSET AND THE ROOMS ARE HUGE!!!!! 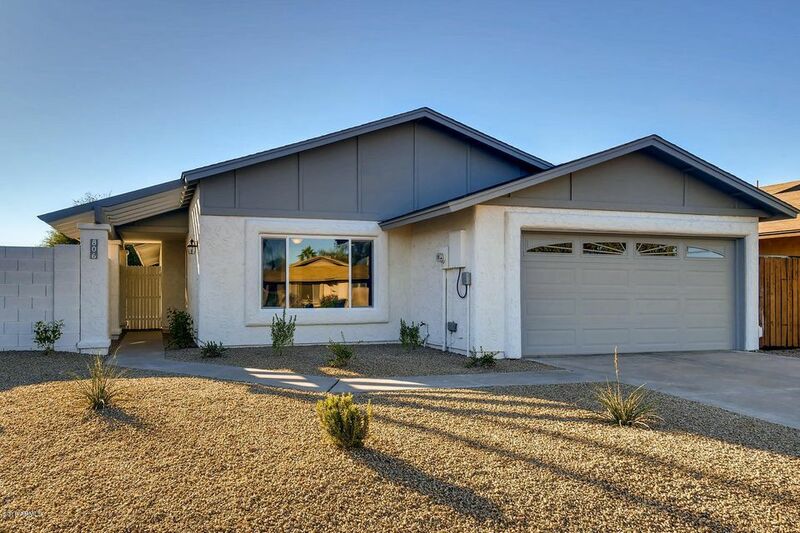 This open floor home is close to everything that you want to do on the weekends from 80 restaurants within walking distance or bike riding to watching a baseball game in the spring and tons of hiking and biking trails. 5 Minutes from Sky Harbor and this beauty backs up to the Canal so you can literally put your running shoes on and step right onto the Canal. It's awesome!!! It has an big laundry room and the great room is an awesome size as well with french doors leading out to the Pergula patio! 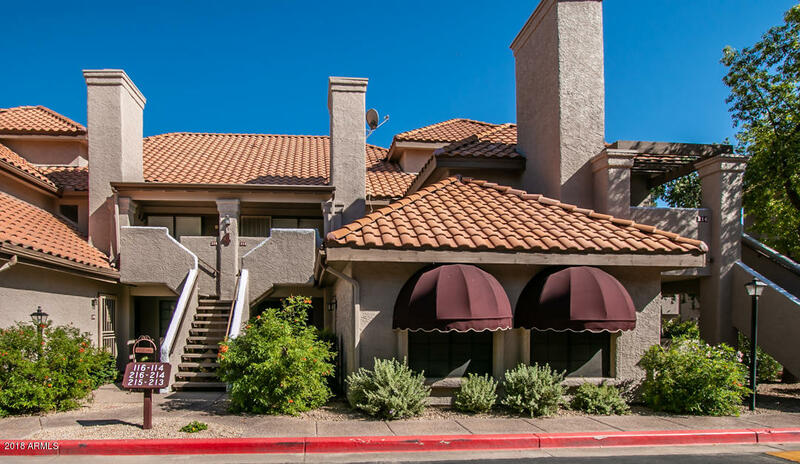 Views of Camelback and views of Papago Mountains as well from your great room. Come and stop by this weekend. Happy Holidays! 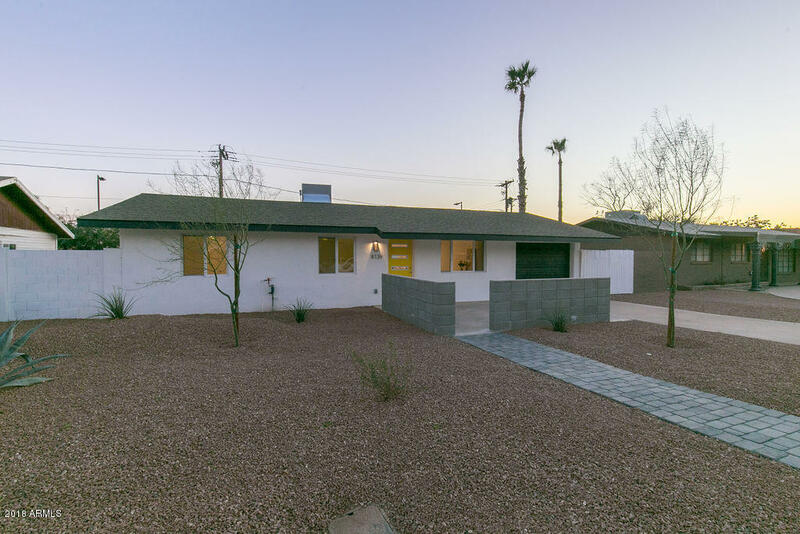 Gorgeous updated home with huge addition just completed. 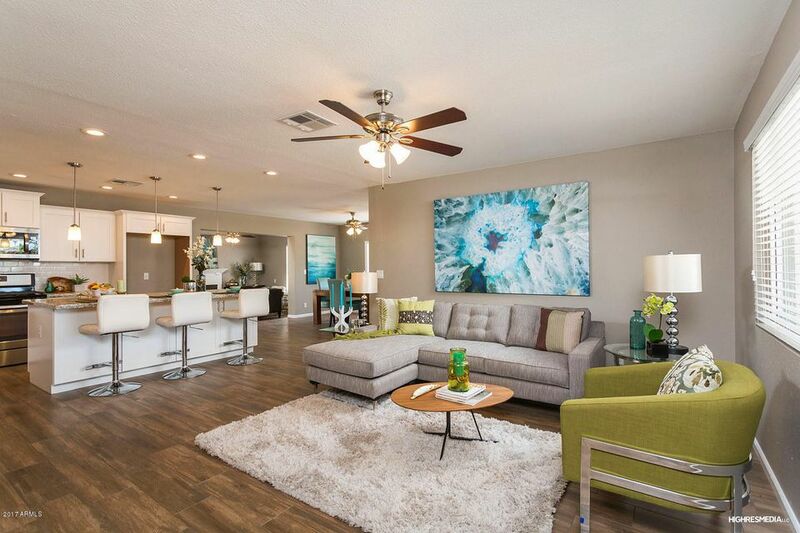 Oversized wood tile floors, open concept with waterfall marble-style quartz countertops. Contemporary glass pedants, industrial faucet, and SS appliance package includes Sharp microwave drawer and range hood. Perfect backyard with brand new pool just installed, travertine paver deck, and turf lawn- no maintenance. Master bedroom additional arcadia door exit to backyard. Huge marble tile and glass shower, dual vanities and large walk in closet. All new windows, doors, trim, HVAC, roof, flooring, and more! Huge laundry room with built in cabinet and sink area. Great curb appeal with paver walkway and modern block courtyard. Low maintenance desert landscaping. Great schools and neighbors! FHA OFFERS WELCOME. Fully updated 3 bedroom 2 bath brick home with open floor plan and new roof. Private north/south facing home on quiet interior cul-de-sac lot. Great central location and No HOA. Garage converted into air conditioned laundry and bonus room inside (not included in square footage). Can be easily converted back to garage. Backyard is large with covered patio and irrigation system ready for a lawn. Front yard has covered patio entry and low maintenance landscaping. 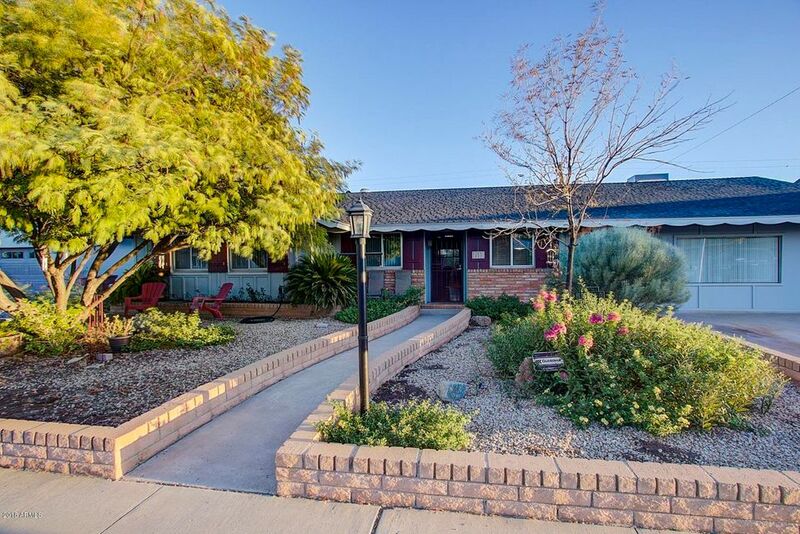 Walking distance to Vista Del Camino Park. Owner/Agent. PRICE REDUCTION!! 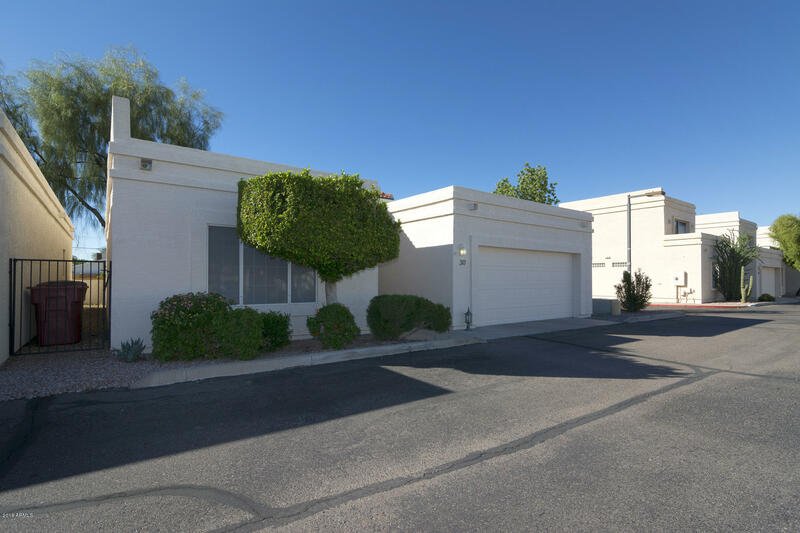 Beautiful Scottsdale DETACHED PATIO HOME is a stand-alone, END-UNIT in a terrific location! Convenient access to Scottsdale Fashion Square, Old Town Scottsdale, Tempe, Sky Harbor and just steps away from Coronado Golf Course. The Living room is light and bright, with soaring, vaulted ceilings, a wood burning fireplace, and two double pane glass sliding doors that lead out to the back patio. Perfect for entertaining. 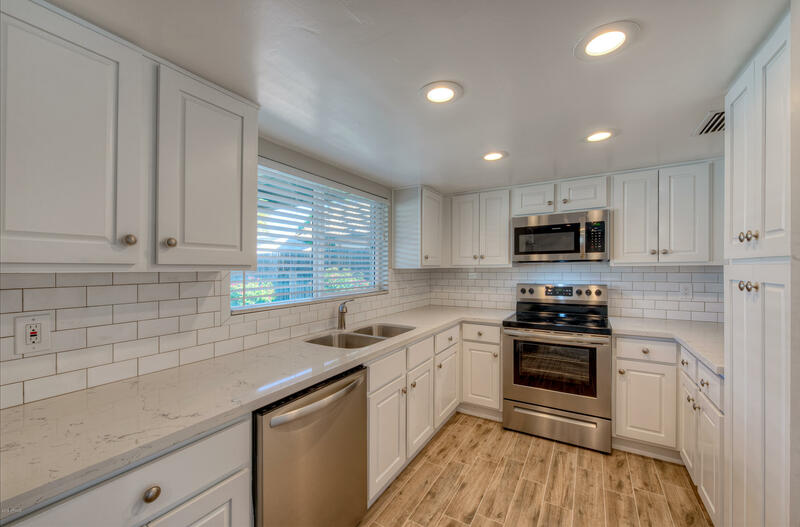 The kitchen boasts an abundance of counter space with granite countertops and a beautiful bright breakfast area. The master bedroom has a large walk-in closet and dual sinks, .The second bedroom overlooks the pool with its own en suite bathroom. A two car garage with built in cabinetry.This home is truly a RARE FIND!! Don't miss out!